Primavera Development Group was established in 2016 to engage in the development of high value added commercial real estate projects and to provide strategic commercial real estate development consulting services and advocacy to a select group of local, national and international clients. Our clients share our core belief that both individuals and corporations only get one reputation in life and that reputation is the only thing we truly control. All Primavera projects are selected with the twin objectives of undertaking successful projects and enhancing our reputation for doing the right things for the right reasons. Primavera Development Group's ability to reconcile diverse viewpoints and criteria on behalf of our clients while building consensus internally and externally with tenants, purchasers, vendors, lenders, joint venture partners and their legal teams as well as with project design and construction teams and with government – both elected and administrative – is a fundamental part of what we offer. Integral to that success is having the knowledge and understanding of each of those component roles and their respective criteria so that when consensus is reached, it is not a compromise on goals and principals but is instead a mechanism for mutual success and achievement. 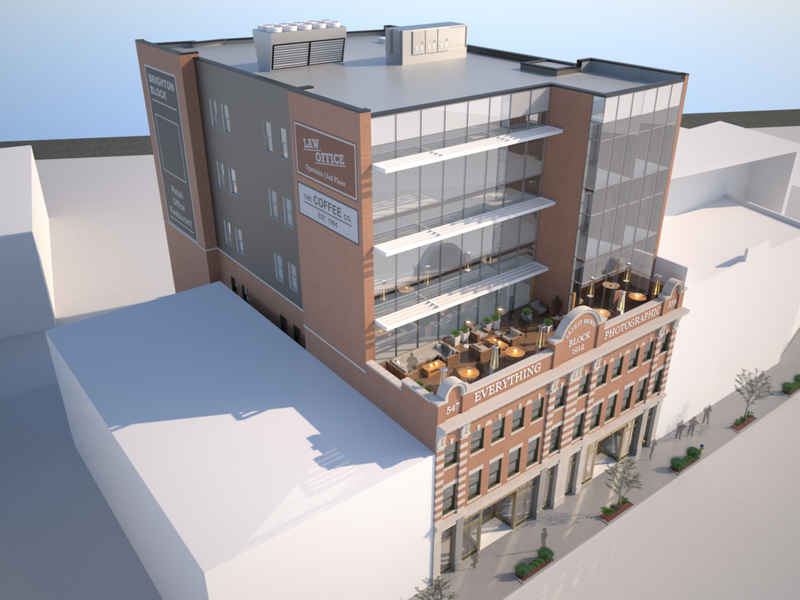 The Brighton Block at 9666 Jasper Avenue, Edmonton, Alberta has recently been acquired by Primavera Development Group. The Brighton Block is a 3 storey Edwardian era brick mixed use building initially notable because of its association with the photographer Ernest Brown who constructed the original building.